Watching Neil Gorsuch, a mild-mannered good boy from Denver, become the second-most-polarizing man in Washington. wo years ago, the Supreme Court heard a case with bleak implications for the country’s labor movement. A California teacher named Rebecca Friedrichs decided she didn’t want to pay fees to the union that represented her because she didn’t want it funding liberal causes. So she sued. If the Court ruled in her favor, which no one doubted it would, public employees could choose to stop paying such fees, potentially triggering a vicious cycle of membership flight and financial ruin. But then Justice Antonin Scalia died in his sleep on a ranch in West Texas and the case ended in a 4-4 deadlock. The fees would remain; the unions were spared. At least for a while. Want to read more? Please click… HERE. 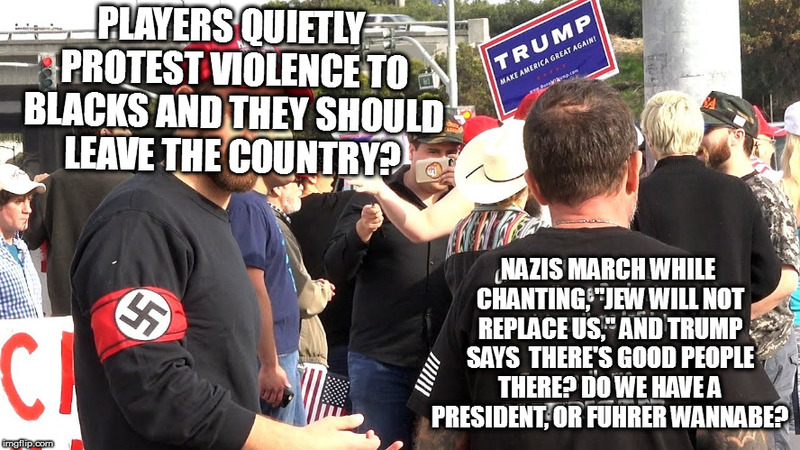 Trolling seems so obvious sometimes. Really? Donnie Junior had to have the address 666? What does Revelations say about “666?” Well, maybe not what we think, plus the writer may have been whacked out on ergot at the time, or some other natural substance. Recently TV evangelists; claiming there has been NOTHING like the blow back Mr. In Your Face on ALL Things Don inspires, have claimed this is all Satan’s doing. 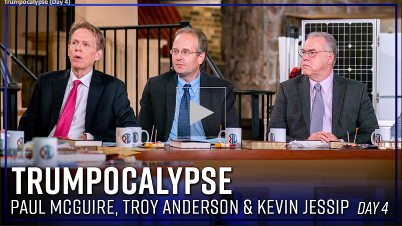 During an interview last week on Jim Bakker’s show, Evangelical author and radio host Paul McGuire made remarks that highlight the extent of extremism we’re seeing on the Christian far-right. The 2016 presidential election is long over, but that doesn’t mean Hillary Clinton can’t troll President Trump. 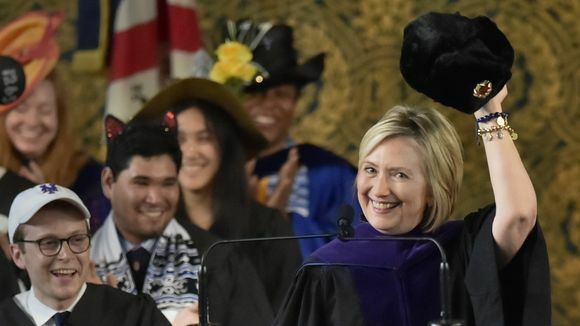 While speaking as part of Yale University’s graduation events this past weekend, Clinton pulled a Russia fur hat out.